Auburn is the county seat of Placer County, California. Auburn is known for its California Gold Rush history, and is registered as a California Historical Landmark. Auburn is part of the Greater Sacramento area and is home to the Auburn State Recreation Area. The park is the site of more sporting endurance events than any other place in the world, giving Auburn the undisputed and internationally acclaimed title of Endurance Capital of the World. Imperial County is a county located in the U.S. state of California. The county seat is El Centro. Although this region is a desert, with high temperatures and low average rainfall of three inches per year, the economy is heavily based on agriculture due to irrigation, supplied wholly from the Colorado River via the All-American Canal. The Imperial Valley is a melting pot of European, American and Hispanic cultures. This work has been released into the public domain by its author, Rman 348. Sonoma County is a county in the U.S. state of California. Its county seat and largest city is Santa Rosa. Sonoma is the southwestern county and largest producer of California's Wine Country region, which also includes Napa, Mendocino, and Lake counties. It has 13 approved American Viticultural Areas and over 250 wineries. Orange County is a county in the U.S. state of California. Its county seat is Santa Ana. It is the second most densely populated county in the state, second only to San Francisco County. Several of Orange County's cities are on the Pacific coast, including Huntington Beach, Newport Beach, Laguna Beach, and San Clemente. The county is famous for its tourism as the home of attractions like Disneyland, Knott's Berry Farm, and several beaches along its more than 40 miles of coastline. Kern County is a county located in the U.S. state of California. Its county seat is Bakersfield. The county spans the southern end of the Central Valley covering 8,161.42 square miles, it ranges west to the southern slope of the Coast Ranges, and east beyond the southern slope of the eastern Sierra Nevada into the Mojave Desert. The county's economy is heavily linked to agriculture and to petroleum extraction. There is also a strong aviation, space, and military presence. Contra Costa County is a county located in the U.S. state of California. The county seat is Martinez. The name is Spanish for "opposite coast". Contra Costa County is included in the San Francisco-Oakland-Hayward, CA Metropolitan Statistical Area. It occupies the northern portion of the East Bay region and is primarily suburban. Los Angeles County, also known as L.A. County, officially the County of Los Angeles, is a county in the U.S. state of California. The county seat is the city of Los Angeles. Los Angeles County also includes two offshore islands, San Clemente and Santa Catalina. The county is home to 88 incorporated cities and many unincorporated areas. Sutter County is a county in the U.S. state of California. The county seat is Yuba City. The county is located along the Sacramento River in the Sacramento Valley. Sutter County is home to the Sutter Buttes, known as the "World's Smallest Mountain Range." This volcanic formation provides relief to the otherwise seemingly flat Sacramento Valley. San Mateo County, Spanish for "Saint Matthew", is a county located in the U.S. state of California. The county seat is Redwood City. San Mateo County covers most of the San Francisco Peninsula. San Francisco International Airport is located at the northern end of the county, and Silicon Valley begins at the southern end. Sacramento County is a county in the U.S. state of California. Its county seat is Sacramento, the state capital. It is at the confluence of the Sacramento River and the American River in the northern portion of California's expansive Central Valley. The county covers about 994 square miles in the northern portion of the Central Valley, on into Gold Country. Sacramento County extends from the low delta lands between the Sacramento River and San Joaquin River north to about ten miles beyond the State Capitol and east into the foothills of the Sierra Nevada Mountains. The southernmost portion of Sacramento County has direct access to San Francisco Bay. The eastern region of the San Francisco Bay Area, commonly referred to as the East Bay, includes cities along the eastern shores of the San Francisco and San Pablo bays. The region has grown to include inland communities within Alameda and Contra Costa counties. Oakland is the largest city in the East Bay and the third largest in the Bay Area. The city serves as a major transportation hub for the U.S. West Coast and its port is the largest in Northern California. San Luis Obispo County, officially the County of San Luis Obispo, is a county located in the U.S. state of California. The county seat is San Luis Obispo. The county's distance from the large metro areas of San Francisco and Los Angeles has helped it to retain its rural character and reminders of old California abound. Commonly referred to as "the Central Coast," the area is more rural and agricultural than many other coastal regions in California. San Diego County is a county located in the southwestern corner of the state of California. Its county seat is San Diego, the eighth-most populous city in the United States. San Diego County has 70 miles of coastline. Most of the county has a mild Mediterranean climate to semiarid climate, though there are mountains that receive frost and snow in the wintertime. There are also 16 naval and military installations of the U.S. Navy, U.S. Marine Corps, and the U.S. Coast Guard in San Diego County. The City of Monterey in Monterey County is located on the southern edge of Monterey Bay, on Central California's Pacific coast. It stands at an elevation of 26 feet above sea level, on a land area of 8.466 sq mi. The coastline, including Big Sur, State Route 1, and the 17 Mile Drive on the Monterey Peninsula, has made the county world famous. Merced County, is a county located in the Central Valley of the U.S. state of California. The county seat is Merced. The county derives its name from the Merced River, or El Río de Nuestra Señora de la Merced (River of Our Lady of Mercy), named in 1806 by an expedition, headed by Gabriel Moraga, which came upon it at the end of a hot dusty ride. Mendocino County is a county located on the north coast of the U.S. state of California. The county seat is Ukiah. The county is noted for its distinctive Pacific Ocean coastline, Redwood forests, wine production, microbrews, and liberal views about the use of cannabis and support for its legalization. The notable historic and recreational attraction of the "Skunk Train" connects Fort Bragg with Willits in Mendocino County via a steam-locomotive engine, along with other vehicles. Inyo County is a county located in the U.S. state of California. The county seat is Independence. Inyo County is located on the east side of the Sierra Nevada and southeast of Yosemite National Park in Central California. It contains the Owens River Valley; it is flanked to the west by the Sierra Mountains and to the east by the White Mountains and the Inyo Mountains. Mount Whitney, the highest peak in the Continental United States, is on Inyo County's western border (with Tulare County). The Badwater Basin in Death Valley National Park, the lowest place in North America, is in eastern Inyo County. Tehama County is a county located in the northern part of the U.S. state of California. The county seat and largest city is Red Bluff. Tehama County comprises the Red Bluff, CA Micropolitan Statistical Area, which is also included in the Redding-Red Bluff, CA Combined Statistical Area. The county is bisected by the Sacramento River. San Francisco, officially the City and County of San Francisco, is the cultural, commercial, and financial center of Northern California and the only consolidated city-county in California. San Francisco encompasses a land area of about 46.9 square miles on the northern end of the San Francisco Peninsula, which makes it the smallest county in the state. It has a density of about 18,187 people per square mile, making it the most densely settled large city in the state of California and the second-most densely populated major city in the United States after New York City. Solano County is a county located in the U.S. state of California. The county seat is Fairfield, and the largest city is Vallejo. Solano County comprises the Vallejo-Fairfield, CA Metropolitan Statistical Area, and is the northeastern county in the nine-county San Francisco Bay Area region. Gavilan Hills, sometimes called the Gavilan Mountains, are a range of the Temescal Mountains, in Riverside County, California. The name given them came from local New Mexican and Californio miners of the mountains and Gavilan Plateau. In Spanish Gavilan, means “sparrow hawk”. Siskiyou County is a county located in the northernmost part of the U.S. state of California. Its county seat is Yreka. Siskiyou County is located in the Shasta Cascade region along the Oregon border. Because of its outdoor recreation opportunities and Gold Rush era history, it is an important tourist destination within the state. Tulare County is a county in the U.S. state of California. Its county seat is Visalia. The county is named for Tulare Lake, once the largest freshwater lake west of the Great Lakes. The county is located south of Fresno, spanning from the San Joaquin Valley east to the Sierra Nevada. Sequoia National Park is located in the county, as are part of Kings Canyon National Park, in its northeast corner (shared with Fresno County), and part of Mount Whitney, on its eastern border (shared with Inyo County). Santa Barbara County, California, officially the County of Santa Barbara, is a county located in the southern portion of the U.S. state of California. The county seat is Santa Barbara, and the largest city is Santa Maria. Santa Barbara County has a mountainous interior abutting several coastal plains on the west and south coasts of the county. The largest concentration of population is on the southern coastal plain, referred to as the "south coast" – meaning the part of the county south of the Santa Ynez Mountains. Shasta County, officially the County of Shasta, is a county located in the northern portion of the U.S. state of California. The county seat is Redding. Shasta County comprises the Redding, California Metropolitan Statistical Area. The county occupies the northern reaches of the Sacramento Valley, with portions extending into the southern reaches of the Cascade Range. Points of interest in Shasta County include Shasta Lake, Lassen Peak, and the Sundial Bridge. Santa Clara County, California, officially the County of Santa Clara, is a county located in the U.S. state of California. The county seat is San Jose, the tenth-most populous city in the United States. Located at the southern end of the San Francisco Bay, the highly urbanized Santa Clara Valley within Santa Clara County is also known as Silicon Valley. Santa Clara is the most populous county in the San Francisco Bay Area region, and one of the most affluent counties in the United States. Stanislaus County is a county located in the Central Valley of the U.S. state of California. The county seat is Modesto. There are a number or rare and endangered species found in Stanislaus County. The Beaked Clarkia is listed as a candidate for the Federal Endangered Species List. It has only been found in blue oak-gray pine associations in the foothills of the Sierra Nevada, a habitat which occurs at moderately high elevations. Santa Cruz County, California, officially the County of Santa Cruz, is a county located on the Pacific coast of the U.S. state of California. The county is located on the California Central Coast, south of the San Francisco Bay Area region. The county forms the northern coast of the Monterey Bay, with Monterey County forming the southern coast. Alameda County is a county in the state of California in the United States. As of the 2010 census it is the 7th-most populous county in the state. Its county seat is Oakland. Alameda County is included in the San Francisco Bay Area, occupying much of the East Bay region. Napa County is a county located north of San Pablo Bay in the northern portion of the U.S. state of California. The county seat is the City of Napa. Napa County was one of the original counties of California, created in 1850 at the time of statehood. Napa County, once the producer of many different crops, is known today for its regional wine industry, rising to the first rank of wine regions with France by local wineries Stag's Leap Wine Cellars and Chateau Montelena winning the "Judgment of Paris" in 1976. Ventura County is a county in the southern part of the U.S. state of California. The county seat is Ventura. Ventura County can be separated into two major parts, East County and West County. East County consists of all cities east of the Conejo Grade. Geographically East County is the end of the Santa Monica Mountains, in which the Conejo Valley is located, and where there is a considerable increase in elevation. 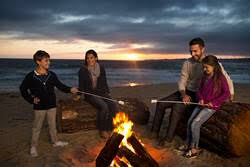 West County, which is everything west of the Conejo Grade, the largest beach communities are located in West County on the coastline of the Channel Islands Harbor. Riverside County, California is one of fifty-eight counties in the U.S. state of California. The name was taken from the city of Riverside, which is the county seat. Roughly rectangle-shaped, Riverside County covers 7,208 square miles in Southern California, spanning from the Greater Los Angeles area to the Arizona border. Most of Joshua Tree National Park is located in the county. Marin County is a county located in the North San Francisco Bay Area of the State of California. Its county seat is San Rafael. Marin County is included in the San Francisco-Oakland-Hayward, CA Metropolitan Statistical Area. It is across the Golden Gate Bridge from San Francisco. Marin County is well known for its natural beauty, liberal politics, and affluence. Kings County is a county located in the U.S. state of California. It is located in the San Joaquin Valley, a rich agricultural region. The county seat is Hanford. Kings County is bordered on the north and northwest by Fresno County, on the east by Tulare County, on the south by Kern County and a small part of San Luis Obispo County and on the west by Monterey County. Most of the historic Tulare Lake was within Kings County. Although reclaimed for farming late in the 19th century, it was the largest freshwater lake west of the Great Lakes. Fresno County, officially the County of Fresno, is a county located in the U.S. state of California. The county seat is Fresno, the fifth-largest city in California. Major watercourses are the San Joaquin, Kings River, Delta-Mendota Canal, Big Creek, Friant Kern Canal, Helm Canal and Madera Canal. It is bordered on the west by the Coast Range and on the east by the Sierra Nevada. It is the center of a large agricultural area, known as the most agriculturally rich county in the United States. San Joaquin County is a county in the U.S. state of California. The county seat is Stockton. The county is located in the Central Valley, just east of the nine-county San Francisco Bay Area region. San Joaquin County was one of the original United States counties of California, created in 1850 at the time of statehood. San Bernardino County, California, officially the County of San Bernardino, is a county located in the southern portion of the U.S. state of California. The county seat is San Bernardino. With an area of 20,105 square miles, San Bernardino County is the largest county in the United States by area. It is larger than each of the nine smallest states, larger than the four smallest states combined, and larger than 71 different sovereign nations. Humboldt County is a county in the U.S. state of California. The county seat is Eureka. Area cities and towns are known for hundreds of ornate examples of Victorian architecture. Humboldt County is a densely forested mountainous, and rural county with about 110 miles of coastline (more than any other county in the state) situated along the Pacific coast in Northern California's rugged Coast (Mountain) Ranges. Reservations accepted at the Tides Hotel (831) 394-3321 Reservations #1. Use Corporation Code CEAC Conference. Room rate is $125.00 per night and you can upgrade to a room with a view for $50 per night. The California Employer Advisory Council is an independent, non-profit organization that works with the Employment Development Department (EDD) to improve the quality of employment services in California. We invite your participation on a local level as a Veteran Representative (VR) and have outlined several ways your EAC participation could be of value to the veteran community. It’s easy to become a member of your local EAC. Simply contact your nearest EDD Job Service office or use our online form. Search our listing of speakers or submit a request for a speaker to be added. Read letter from John Bottari, CEAC President. New CEAC President John Bottari speaks to the San Mateo EAC and provided an update on the relationship between the CEAC, the EDD, and the local EACS. 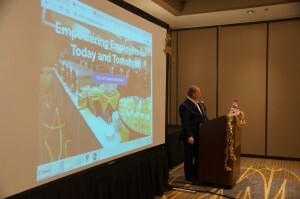 He also discussed the upcoming Annual Statewide Conference in Monterey, California which will be held on May 1-3, 2019 at the beautiful beachside “Monterey Tides Hotel”. Read the latest EDD Latest News and Press Releases. Contra Costa County EAC - The Gig Economy – Independent Contractors and W-2’s: what has changed in the aftermath of Dynamex?